Would be an alternative and rather more relevant headline versus “One in five Syrians say Islamic State is a good thing, poll says,”, which is meant to shock the nativist ill-informed and divert the conversation from the US’ uncompromising and ruinous drive for regime change to the politically safer (for an American audience) topic of the European immigration crisis. But hey, credit where credit’s due: At least WaPo reported this, which is more than you can say of the rest of the MSM. Only 21% of Syrians prefer life now compared to life under Assad’s full control several years ago. 82% say ISIS was created by the US and allies. Though 71% of respondents in territories under ISIS control say they support ISIS – surprising it’s not higher, given their… reputation – some 62% of them also agree that ISIS was created by the US and its allies. Assad (47%) and Iran (43%) are more popular than the Arab Gulf countries (37%), al-Nusra (35%), the FSA (35%), “Syrian Opposition Candidate” (26%), and the Islamic State (21%). Reminder that this is in a majority Sunni country that is being “oppressed” by Shi’ite Alawites. Overall, pretty depressing reading for those who bought into the US neocon/Likudnik regime change narrative on Syria on moral or political legitimacy reasons. Above are the detailed results of the ISIS/US connection question. Egor Prosvirnin Gets Shoahed. Is Novorossiya Next? 18 Comments to "Four in Five Syrians Say Islamic State Is a US Creature, Poll Says"
It would be interesting to know what the percentage is of refugees in Europe who think IS is a positive force. Of course also it would be interesting what the percentage is of refugees who are IS fighters themselves. This is an important piece of evidence. I’d expect Syrians to understand ISIS better than the average consumer of global news understands it. And I know for a fact that public opinion in the modern Russospehere about Soviet and post-Soviet history is closer to the truth than what the global news consumer has been told about them. And that US public opinion about racial realities in the US is closer to the truth than what the global news consumer has been told about THOSE. Eyewitnesses are harder to fool. Sometimes not by very much, but still. I remember Anatoly posting poll results that showed Ukrainians having a higher opinion of Putin than did Brits or Americans. Not by very much, but still. Electronic media is a powerful tool, but it’s less effective if it has to fight against people’s real-life experiences. Yeah, well Assad is leaving IS alone for reasons that ought to be obvious. What is the "obvious" reason? Assad isn’t leaving the Islamic State alone more than he is the rebels in Idlib province: it’s just that his troops are weak and tired out, his equipment is worn out, and his generals have largely given up hope. Islamic State has global and regional superpowers gunning for it, it hasn't a snowball's chance in hell of taking over Syria. The non IS opposition could. The more powerful IS becomes in Syria the more Assad becomes indispensable. Assad's regime has all the hardware it needs from Russia, but he is mercilessly attacking non Islamic State forces. Joining IS is far less dangerous than joining the other opposition groups, and regions it controls are not being bombed to any significant extent. The refugees are not from IS areas. Assad isn't leaving the Islamic State alone more than he is the rebels in Idlib province: it's just that his troops are weak and tired out, his equipment is worn out, and his generals have largely given up hope. Islamic State has global and regional superpowers gunning for it, it hasn’t a snowball’s chance in hell of taking over Syria. The non IS opposition could. The more powerful IS becomes in Syria the more Assad becomes indispensable. Assad’s regime has all the hardware it needs from Russia, but he is mercilessly attacking non Islamic State forces. Joining IS is far less dangerous than joining the other opposition groups, and regions it controls are not being bombed to any significant extent. The refugees are not from IS areas. Between Raqqah and Assad's strongholds in Damascus and the west is a desert barren of the infrastructure necessary to sustain a long-term military campaign. Bombing ISIS targets out there is for the most part militarily pointless since Assad has no ground forces ready to follow through afterwards. Raqqah can be assaulted in force only after Aleppo has been retaken. There is far more infrastructure connecting Aleppo to Raqqah than there is between Damascus and Raqqah. Assad's forces would also expose the flank of a very long and vulnerable supply line to the rebel forces in Aleppo if they were try to mount a direct campaign against Raqqah first. And the Islamist rebels in Aleppo and Idlib are poised to storm the Alawite homeland on the coast and slaughter them if the Syrian Army diverts its forces to the east. Conversely, ISIS also cannot directly launch a campaign against Damascus across the desert. It must clear away its obstacles in Aleppo before launching a campaign southward along the main route of developed Syria. The rebels are getting the brunt of both sides' attacks because they've occupied the crucial junction point on the crescent of Syria's developed regions, where the ISIS-dominated northern belt of settlement, which runs east-west, meets the regime-controlled western belt, which runs north-south along the coast and the Lebanese border. There is no alliance betweeen Assad and ISIS. Both of them, however, must seize control of the Aleppo region in the northwest before they can drive home a decisive campaign against the other's heartlands in Damascus and Raqqah. That is the military reality of the situation. The longer the al-Nusra led Islamist rebel coalition is propped up in its position between Assad and ISIS, the longer the war will go on and the longer ISIS will survive. What is the “obvious” reason? In a way, the Islamic State is a creation of the United States. If Papa Bush and Junior Bush didn’t bungle into Mesopotamia, allow themselves to be led by the nose by those creepy Wahhabis in Saudi Arabia, and hunt Saddam Hussein like a mad dog, the Islamic State would not have a chance of being born. Between Raqqah and Assad’s strongholds in Damascus and the west is a desert barren of the infrastructure necessary to sustain a long-term military campaign. Bombing ISIS targets out there is for the most part militarily pointless since Assad has no ground forces ready to follow through afterwards. Raqqah can be assaulted in force only after Aleppo has been retaken. There is far more infrastructure connecting Aleppo to Raqqah than there is between Damascus and Raqqah. Assad’s forces would also expose the flank of a very long and vulnerable supply line to the rebel forces in Aleppo if they were try to mount a direct campaign against Raqqah first. And the Islamist rebels in Aleppo and Idlib are poised to storm the Alawite homeland on the coast and slaughter them if the Syrian Army diverts its forces to the east. The rebels are getting the brunt of both sides’ attacks because they’ve occupied the crucial junction point on the crescent of Syria’s developed regions, where the ISIS-dominated northern belt of settlement, which runs east-west, meets the regime-controlled western belt, which runs north-south along the coast and the Lebanese border. There is no alliance betweeen Assad and ISIS. Both of them, however, must seize control of the Aleppo region in the northwest before they can drive home a decisive campaign against the other’s heartlands in Damascus and Raqqah. Well that is interesting but the military balance of various Syrian forces was not the basis of what I was talking about, The US having the capability to crush IS, which is not going to be allowed to win means IS is doomed as soon as it looks like it is going to achieve victory. Assad does not have to worry about defeating IS. Assad is from a tiny ruling sect, playing off enemies against one another and prioritising enemies for weakening is something he understands rather well. His endgame is to try and play the US off against IS, until then he uses Russian backing to grind down the rest of the opposition. Russia thinks Assad is fighting Islamic extremism so he plays Russia of against the moderate opposition. This is multipolar and to survive Assad must be hyper-subtle. You can't just look at a map of the military dispositions and see what is going on. Well that is interesting but the military balance of various Syrian forces was not the basis of what I was talking about, The US having the capability to crush IS, which is not going to be allowed to win means IS is doomed as soon as it looks like it is going to achieve victory. Assad does not have to worry about defeating IS. Assad is from a tiny ruling sect, playing off enemies against one another and prioritising enemies for weakening is something he understands rather well. His endgame is to try and play the US off against IS, until then he uses Russian backing to grind down the rest of the opposition. Russia thinks Assad is fighting Islamic extremism so he plays Russia of against the moderate opposition. This is multipolar and to survive Assad must be hyper-subtle. You can’t just look at a map of the military dispositions and see what is going on. 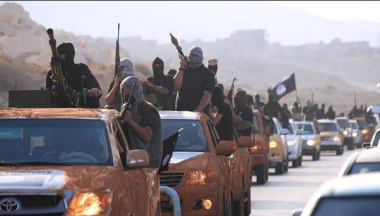 Most of the Syrian opposition in Syria is Islamists. You don't need Daesh to oppose them. You don’t need Daesh to oppose them. Assad does not need Daesh to continue to exist as an ally, he needs them as an enemy. I am certain he is lying his head off to Russia about how Daesh are unstoppable. Possibly Putin has begun to understand what Assad's little game is, and Russia intends to deal with Daesh themselves, which should not be difficult. Daesh are probably quite amateurish as a result of Assad treating them with kid gloves. Syria was like those American forests where every minor fire had been extinguished for years, making a mega conflagration inevitable. Assad does not need Daesh to continue to exist as an ally, he needs them as an enemy. I am certain he is lying his head off to Russia about how Daesh are unstoppable. Possibly Putin has begun to understand what Assad’s little game is, and Russia intends to deal with Daesh themselves, which should not be difficult. Daesh are probably quite amateurish as a result of Assad treating them with kid gloves. Daesh are probably quite amateurish as a result of Assad treating them with kid gloves. You are not accounting for the fact that Arabs fight poorly in principle. What appears to you as "fighting with kid gloves" is just Arabs being Arabs fighting for a state army. You are not accounting for the fact that Arabs fight poorly in principle. What appears to you as “fighting with kid gloves” is just Arabs being Arabs fighting for a state army. The obsession with security can reach ludicrous lengths. Prior to the 1973 war, Sadat was surprised to find that within two weeks of the date he had ordered the armed forces be ready for war, his minister of war, General Muhammad Sadiq, had failed to inform his immediate staff of the order. Should a war, Sadat wondered, be kept secret from the very people expected to fight it? Sadiq did the right thing in my opinion. Surprised attackers have the advantage over surprise defenders. http://www.irishexaminer.com/lifestyle/features/inside-aleppo-syrias-most-war-torn-city-354704.html Article about the " Syrian Stalingrad". "The United States accused Assad on Tuesday of aiding an Islamic State advance against rival insurgents north of Aleppo, echoing claims made by rebels that Damascus dismisses." http://www.irishexaminer.com/lifestyle/features/inside-aleppo-syrias-most-war-torn-city-354704.html Article about the ” Syrian Stalingrad”. Daesh which is focused on the Syrian periphery is a lesser threat to the Damascus government compared to the other Sunni-Islamist forces who do threaten its core territories. Islamic State moved its best fighters from Aleppo (the Syrian Stalingrad) and took Ramadiin (Iraq). Then having humiliated the US trained Iraqi elite Golden Division, IS’s focus moved back into Syria, where they attacked Hasaka and Assad’s forces collapsed. But IS got hammered by US airpower which is backing the Kurds, who ended up with almost total control of Hasaka. Finally, Assad apparently facilitated Islamic State gains north of Aleppo against rival insurgents. It is true IS has achieved hardy any crucial gains against Assad’s heartland. However, IS’s short lived gains in Hasaka occurred mainly because Assad’s troops didn’t really fight. IS’s only reverses are at the hands of the Kurds, a US proxy welding the superpower’s air force. In the Syrian Stalingrad, Assad seems to have actually helped Islamic State, which may be what has alarmed Putin. In Putin’s estimation, Assad may be underestimating IS. But Assad has been living on the edge so long he collects his mail there; he has to seem to be in danger of being toppled by IS to be safe. That is the paradox. Other Sunni-Islamists are a much greater threat to Damascus, especially after their sponsors increased support in 2014 which allowed them to make large gains in the Idlib governorate. Oon the other hand, Daesh has more enemies to fight and more territory to defend than them. Islamic State moved its best fighters from Aleppo (the Syrian Stalingrad) and took Ramadiin (Iraq). Then having humiliated the US trained Iraqi elite Golden Division, IS's focus moved back into Syria, where they attacked Hasaka and Assad's forces collapsed. But IS got hammered by US airpower which is backing the Kurds, who ended up with almost total control of Hasaka. Finally, Assad apparently facilitated Islamic State gains north of Aleppo against rival insurgents. It is true IS has achieved hardy any crucial gains against Assad's heartland. However, IS's short lived gains in Hasaka occurred mainly because Assad's troops didn't really fight. 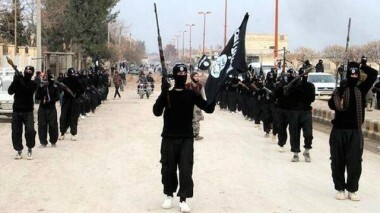 IS's only reverses are at the hands of the Kurds, a US proxy welding the superpower's air force. In the Syrian Stalingrad, Assad seems to have actually helped Islamic State, which may be what has alarmed Putin. In Putin's estimation, Assad may be underestimating IS. But Assad has been living on the edge so long he collects his mail there; he has to seem to be in danger of being toppled by IS to be safe. That is the paradox.